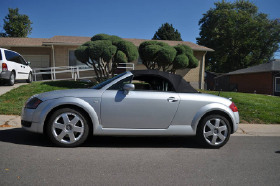 I'm interested in the 2002 Audi TT Roadster you have listed on ExoticCarList.com for $5,999. I would like to know more about this vehicle. This beautiful car has been well maintained and runs like a dream. I am the second owner and bought it with 47,000 miles from a man who pampered it. It now has 102,000 miles, sleeps in the garage and I have loved it so much, but I just don't use it. It is an Audi Quattro, so AWD. I have never had a problem driving through the snow. It has heated seats, auto windows, alarm system, bose stereo system and has a manual transmission. It is a 1.8 L, 4 cylinder 5 speed turbo. 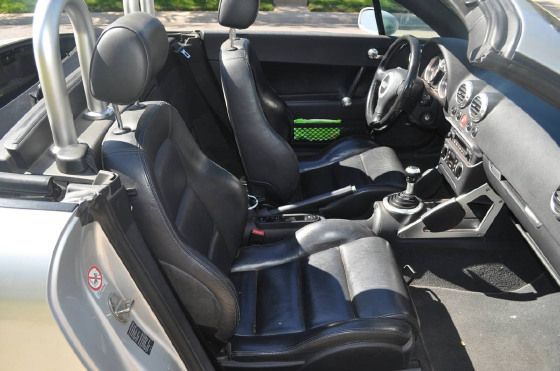 The soft top is black and like new in excellent condition. You will never regret getting this car, I have just loved it!!!! !